It’s almost impossible to ignore the World Cup no matter where you are around the globe. Football, or soccer depending on where you are, is a game that is responsible for the political success or demise of governments and it inspires emotional commitment with a sometimes irritational devotion. Such an incredibly passionate and devout legion of followers and supporters make for superb photography subjects and over the years Magnum photographers have documented the phenomena that is world football. The sometimes called father of photojournalism Henri Cartier-Bresson captured it superbly in the streets of Paris circa 1969. Not much has changed within the obsession and support of the game in Paris since then. This year, the French team made it’s way to the finale and the country is absolutely brimming with passion and pride. The match took place a day after la Fête nationale or Bastille Day, the national day for France. Needless to say, the table was set for a weekend to remember if you are in any way associated with the red white and blue. I happened to find myself in Paris this year for the finale, and whilst being neither a Croatian or French national I couldn’t help becoming completely emotionally involved for the 90-minute game and the unbridled display of joy that followed. Well played to Croatia, a superb team from a nation far smaller than the regular main contenders who have repeatedly pulled the magic out to progress to the final. 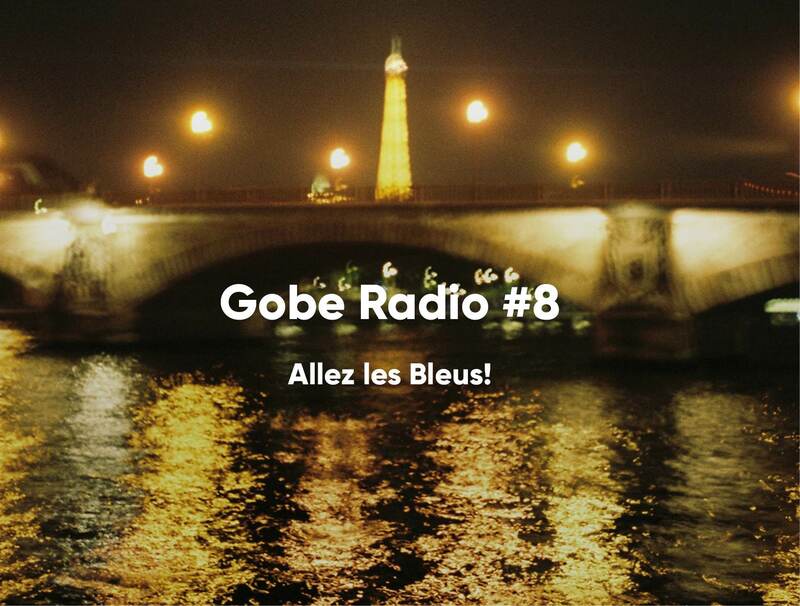 We try to bring you music from all corners of the globe via Gobe Radio and after the success of Les Bleus it made sense for this weeks playlist to celebrate all music Francais. Jane Birkin, Francois Hardy and Jacques Dutronc represent some of the chanson must-haves with Clea Vincent and La Femme rounding out the rest of your new World Cup Finale playlist. You can find all previous editions of Gobe Radio and follow us for future soundtracks to your adventures here on Spotify.